Newfield Junction was located at the summit of the Wellsville, Addison & Galeton's steepest grade: the 2.85% climb to Cutler Summit. 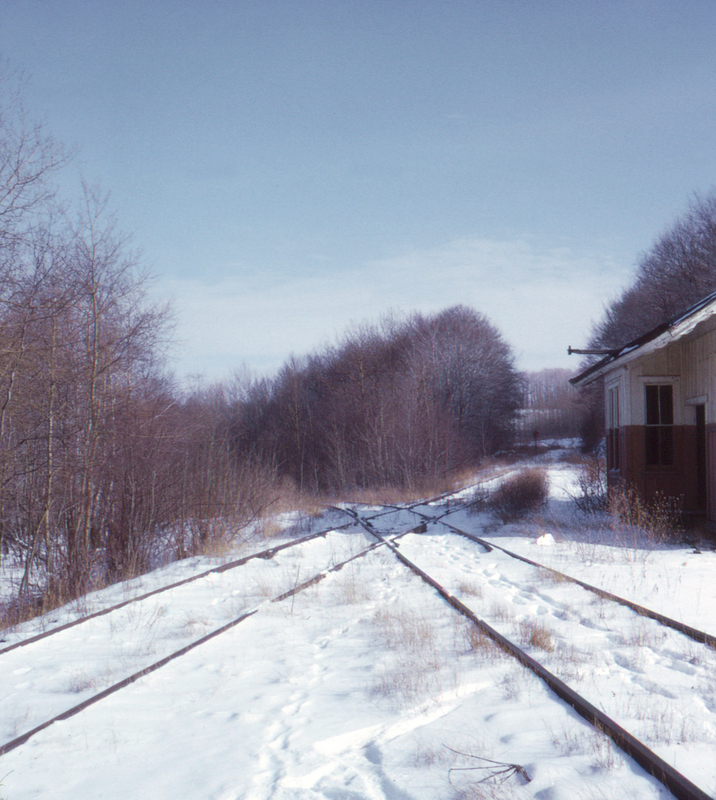 Here at Newfield Junction the WA&G interchanged with the Coudersport & Port Allegany Railroad until the CP&A ceased operations in 1970. Here we see the WA&G (coming from lower right) crossing the CP&A (destined to be torn up later the same year the photo was taken) and plunging down the far side of Cutler Summit to Genesee, Pennsylvania and Wellsville, New York.